Noooooooo! Mom and dad died!! Well they woke up and went to work. And then both of them came home with promotions!! Yay! Bonus money! 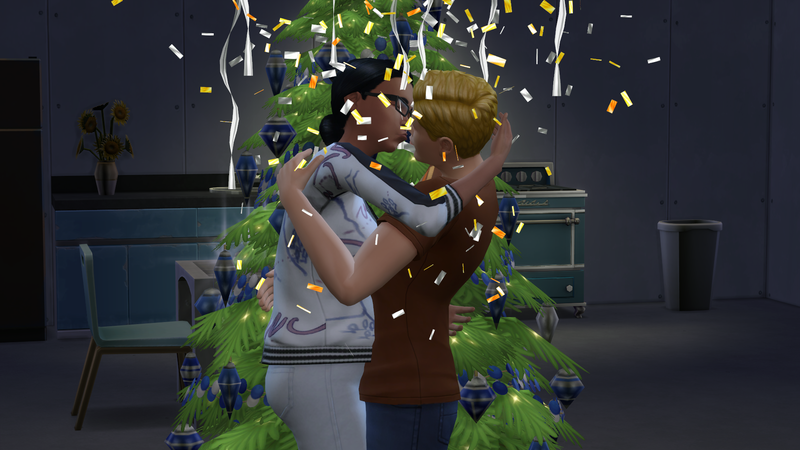 Winterfest came along and we decided to celebrate this time. Here they are decorating the tree! I usually just buy the pre-decorated ones but I wanted to try something new! Waahhh! So pretty! Honestly, I never do anything with the trees. I just plop them down and ignore them. So I’ve never turned on the lights before. So I thought this was SO CUTE!! And then I thought this would be an adorable way for Adalind to propose! Gosh. They are sooo cute together! 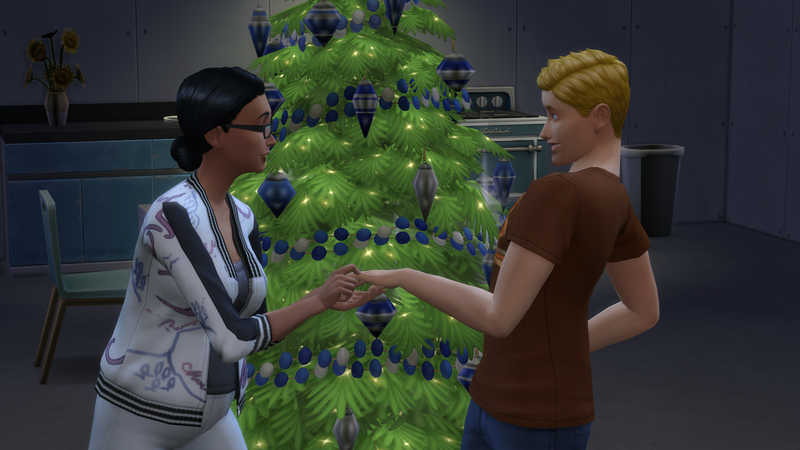 More Winterfest! Gotta have that good meal! 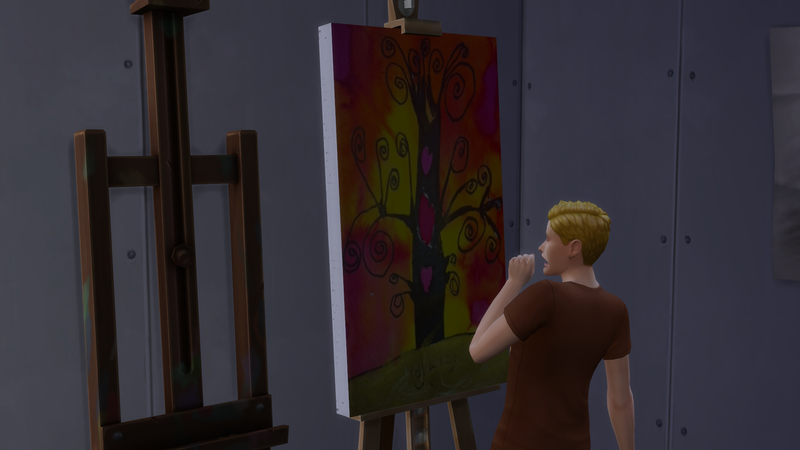 Reese was in such a good mood that he painted our first masterpiece! O_O This was Father Winter’s gift to Adalind… O_O What the hell. 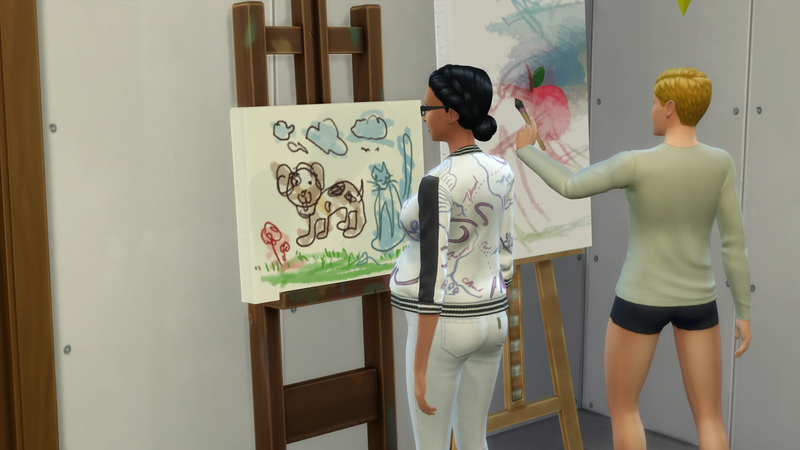 And Adalind’s making sure that she keeps up with Reese and she paints her own masterpiece! And so is our receptionist! Or at least it did for a little bit. 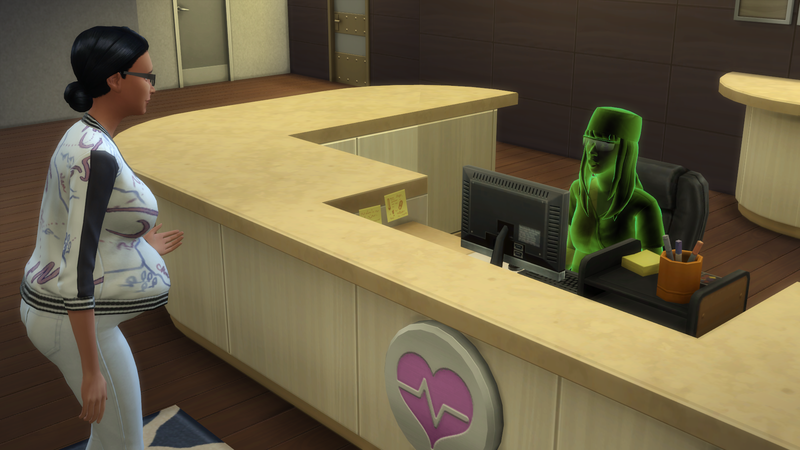 Then a new receptionist poofed into being and we were on our way. They also decided we should have a real doctor. 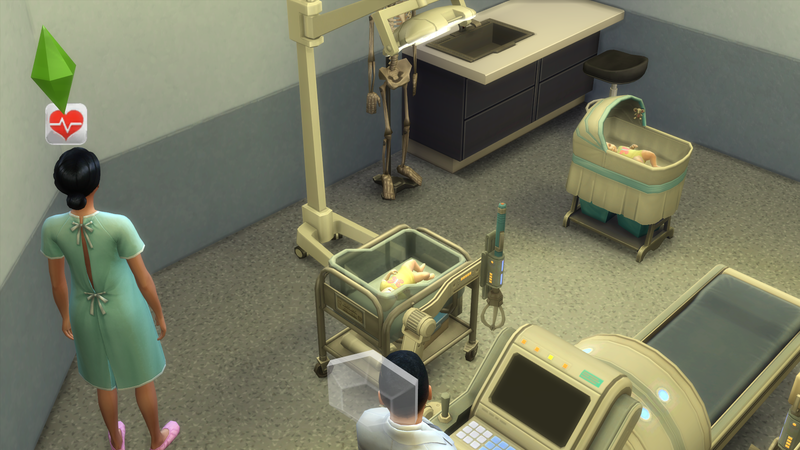 And we had twins! Both girls! Anyway! Meet the girls! 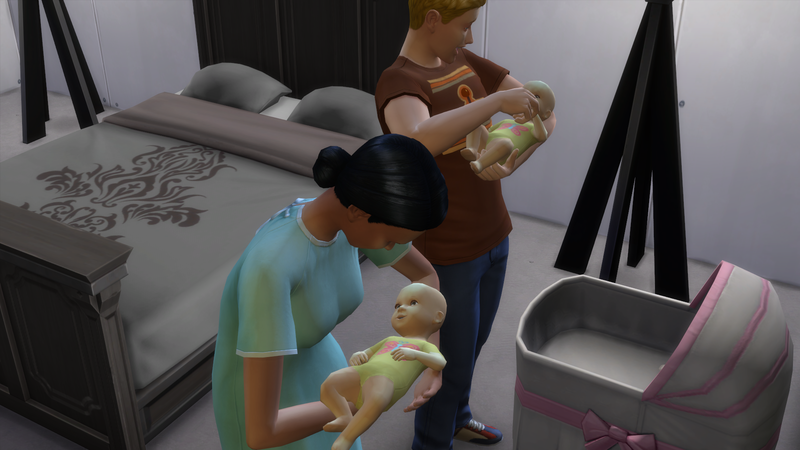 Reese is holding our heir, Chloe! While Adalind is holding our first spare, Emma! The christmas tree looks great! 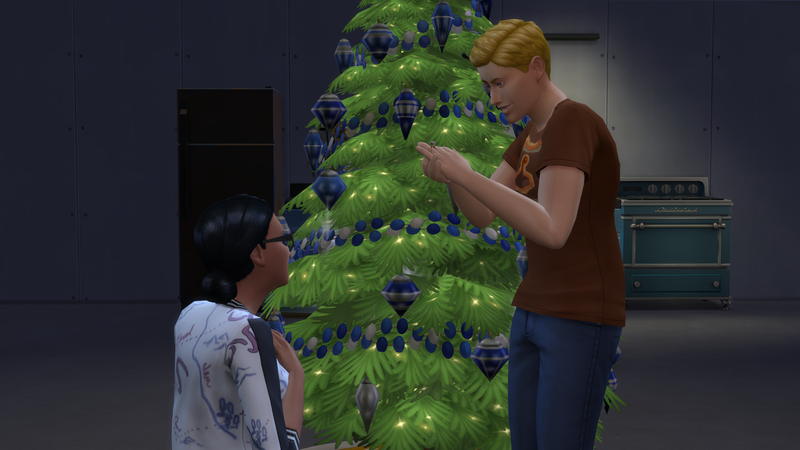 Great picture of the proposal. 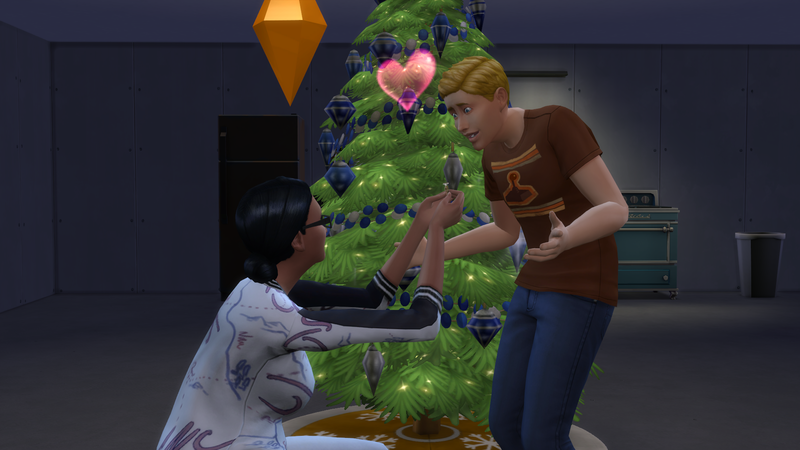 My sims just had Christmas in my game too. For some reason my treeskirt wasn’t working. I hope next time it will actually appear, because it looks good on yours! 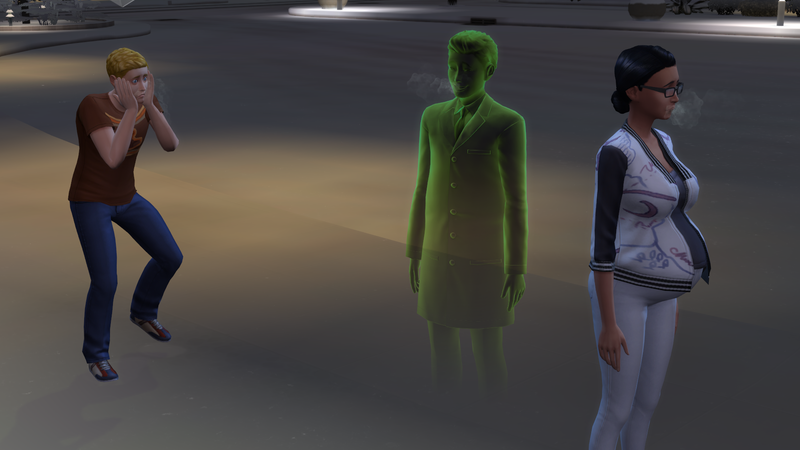 lol at all the ghosts at the hospital! Congrats on the twin girls!! 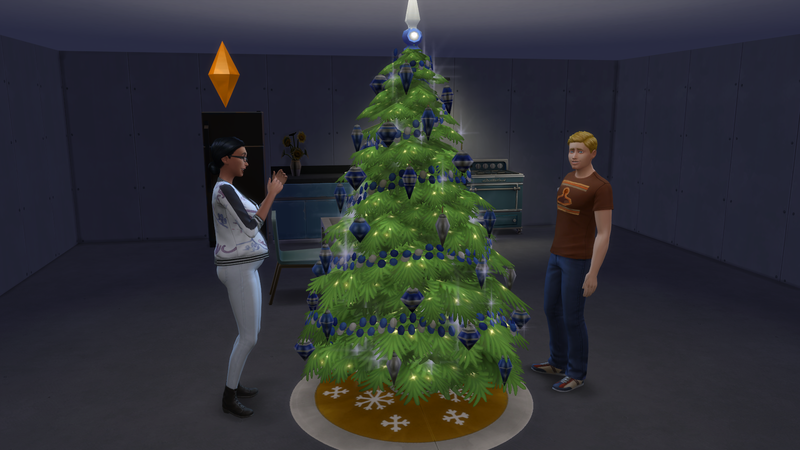 It was the first time I’ve really done anything with the tree, so I was presently surprised that it worked and turned out so nice! I hope your tree skirt works next time for you! 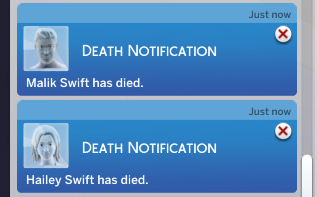 It really is Strange that Hailey and Malik died the same night! But it sounds kind of romantic actually ❤ and speaking about romance, that was a beautiful propose! 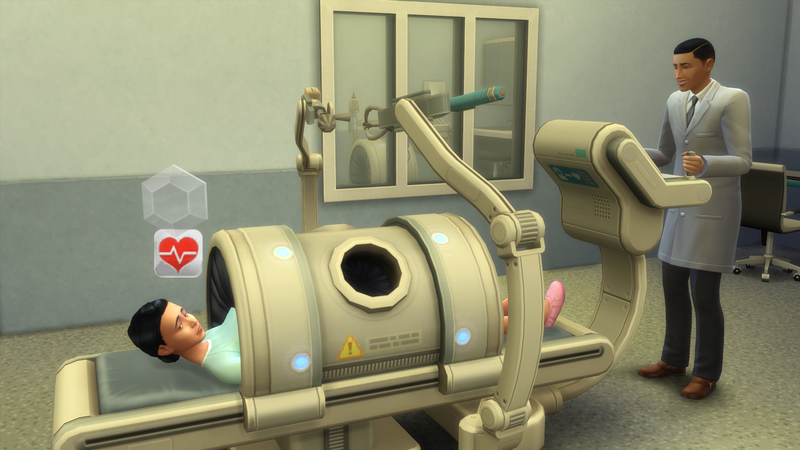 😀 it's great thar Reese is feeling more confortable with family life now! I agree that it would be great for Chloe to get Reese’s hair! 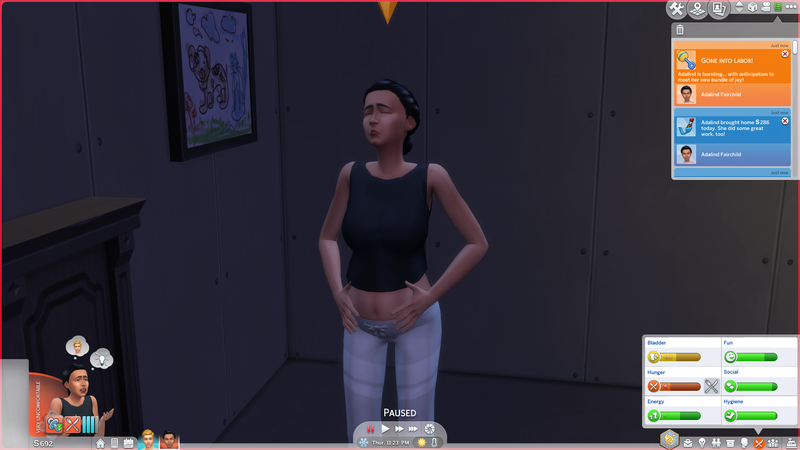 All my heirs have had black hair! !